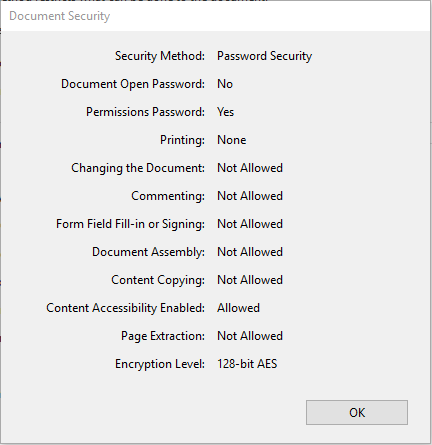 Do you wonder how to remove security permissions from PDF without password?. If yes, then read this simple blog because here, we have described some simple techniques that will let know how to remove PDF security without password. To get the complete information continue reading the blog. In today’s arena, many people secure their PDF files either with passwords or restrictions. The main reason behind adding the PDF password is just to ensure that, only authorized parties can view the confidential files. While restrictions are added to prevent PDF form printing, copying, editing or signing. But, there are many people who want to remove these restrictions or passwords for quick file access. Although, Adobe Acrobat provides this feature but, it is necessary to have its full version & user must know the permission password. But, it is not necessary that all people know this permission passwords, it might be possible that they might have forgotten or lost them. Therefore, in such cases, there is a requirement for some alternative solution which can remove PDF security without password. So, before knowing the solution let’s know the types of security present in the PDF file. DataHelp PDF Password Remover Software is the ultimate solution to remove PDF password as well as restrictions from PDF files. With this software, you can eliminate restrictions on printing, copying, editing, signing, etc. The main advantageous feature of the software is that it can remove security permissions from PDF without password (i.e. Permission password). The tool will not ask the user to enter the password for removing the restrictions. It is a convenient utility which supports all Windows Operating System 10, 8.1, 8, 7, etc. Moreover, this tool does not require the installation of any external utility to disable PDF security password or restrictions. Now, you can check that you have successfully disable PDF security password & restrictions like a copy, edit, print, sign, comments from your PDF files. Now, open this new PDF file with the help of PDF Viewer and you can see that the permissions like a copy, edit, print, etc. are enabled. Important Tip: Google Chrome is a free solution to remove PDF security without password. But, before using it users must be assured that file must not have Print restrictions. If the PDF file is print restricted then this method can’t be used. But, it might be possible that some people may have a Print restricted PDF file. Therefore, for such users, this method is not applicable thus, it is advised to use an alternative solution to remove security settings on PDF without password. Sometimes restrictions on PDF files is inconvenient for the user because due to security users can’t work easily with PDF documents. They are unable to copy, print, edit or sign the PDF files. Though there is a manual solution i.e. Google Chrome which can remove security permissions from PDF without password, but, it has some limitations. Therefore, it is suggested to use the professional utility for removing PDF security without password.